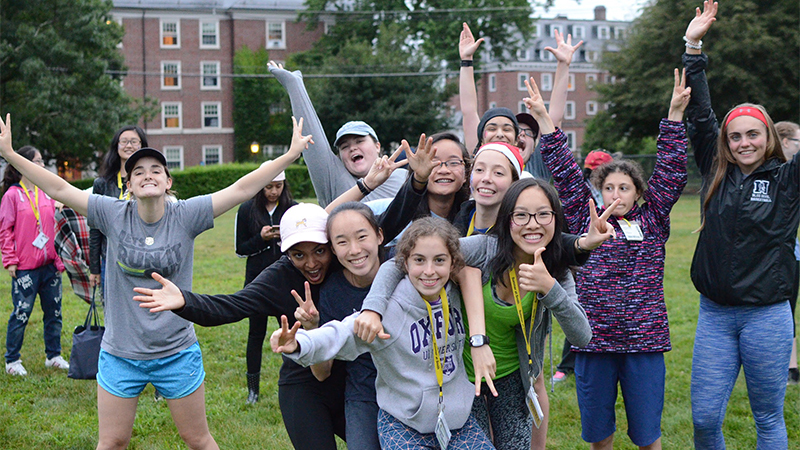 Smith College Precollege Programs welcomes international students each year from around the world. You'll find that our small classes, similar to the undergraduate experience at Smith, offer exceptional learning in an environment where women are taken seriously and inspired to excel as leaders. Smith is located in the northeastern region of the United States, an area with some of the highest concentrations of international students anywhere in the country. All international students admitted to the precollege program and traveling to the United States must ensure they have a valid passport (valid for at least six months from date of entry) for travel to and from the program for the duration of the program. Accepted international students who do not have U.S. citizenship or a green card will need to obtain an F-1 student visa. Please complete the Smith Precollege Certificate of Finances below and return it to our office by April 21. If you hold a visa other than an F-1 that will allow you to study at Smith College, please contact our office. DO NOT plan to travel on a tourist visa. A letter from your current school confirming your lawful status and eligibility to continue your education there after completion of your precollege programs at Smith College. Please note that visa processing and appointment wait times can take longer than expected. Allow adequate time for processing. Review Form I-20 and provide signature at the bottom of page 1. Parent/guardian must co-sign. Visit www.fmjfee.com to pay the SEVIS fee of $200 to the U.S. Government and keep your receipt. Proof of SEVIS fee payment is required to apply for the F-1 Visa. Complete your DS-160 Form and set up an F-1 Visa appointment with a U.S. Embassy or Consulate. Follow the guidelines provided for requesting your F-1 Visa. Do not set up an appointment until you have paid your SEVIS fee and have received your Form I-20 from Smith College. Please contact Smith College at 413-585-2490 if you face any problems at the border. You may also reach out to Caitlin Szymkowicz, Associate Dean for International Students and Scholars at 413-585-4905.
International and non-U.S. citizens participating in the precollege programs are required to have health insurance. Short-term health insurance is available through CampDocs.com or Seven Corners. International students must submit insurance plan details to the Office of Precollege Programs before June 10. *Fee includes application fee, room, board and all academic supplies. **Figures may be more or less depending upon personal preferences.